There are many different markets that can be traded in to make a profit. The largest of any of them is clearly the foreign currency exchange, also called Forex (FX). This market trades more than three trillion dollars each day and currency traders can learn how to pull in a share of it. To protect yourself, make sure that you read the small print and know what risks there are before you make any trading decisions. When you want the convenience of being able to trade any time that you find convenient, you can easily do so with Forex. Trading takes place constantly, except for a few hours on the weekend, when all the markets are closed. Apart from that, some trading is taking place all day long – somewhere. The key is to know what trading is going on at what hour – and where. This round the clock access makes it possible to trade the markets after hours – without giving-up your day job. The Forex market works because international currencies are constantly undergoing slight changes in their value. As they daily interact with other currencies in trading, events (political, national, and corporate), and economic situations, their value fluctuates. It is these changes that can help Forex traders know when it may be a good time to make a sizable profit. 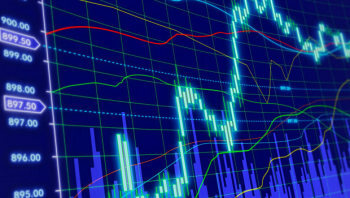 A Forex broker is needed to make any transaction within this market. With computers, however, transactions can take place very quickly. All you need to do is to determine which two currencies you want to trade, such as the dollar and the euro (EUR/USD). Most traders will stick with the currencies referred to as the “Majors.” This involves the seven most popular currencies, and includes the US Dollar, the Euro, the Japanese Yen, the British Pound, the Swiss Franc, and the Australian and the Canadian Dollars. You may access your broker either through computer or through a phone app. Forex day trading provides you with the opportunity to trade with a much higher value than what is actually in your account – called leverage (see more here). The leverage may be as much as 50-1,000 times the value of what is in your account. Daily movements in the major currencies are typically small by comparison to other markets. This is why higher leverage is commonplace. The increased leverage, however, also means that there is an increased level of risk. With some brokers, it is possible to lose more than you have in your account. To protect yourself, make sure that you read the small print and know what risks there are before you make any trading decisions. Tools such as stop loss advisors can help prevent serious losses – but you have to know how to use them properly. A real plus in trading in Forex is that you have access to all kinds of information online that can help you make daily trading decisions. Depending on whether you choose the more popular technical trading method, or the fundamental one, everything you need is available through online sources. Your broker’s website should provide all the information you need. This instant information enables you to make nearly instant trading decisions, either to start or terminate a transaction. Forex trading signals can also be obtained from some brokers or third parties for the same purpose. You can start learning about Forex trading online. Online mini-courses are often free, but the better ones will cost. Due to the possibility that you can lose a lot of money quickly in the forex market, you should take the time to learn all you can first. 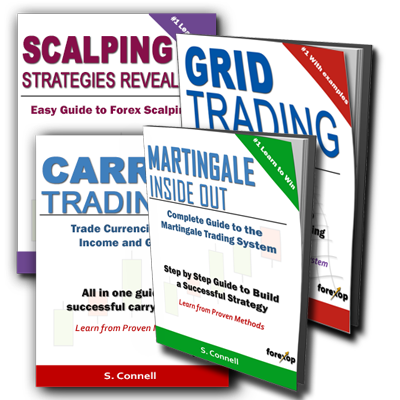 Once you think you have the basics down, you can find a free demo trading account and start practicing. Most online brokers allow this. A free demo account also helps newcomers “learn the ropes” without losing real money. Demo software varies considerably, and each website will provide slightly different types of information, so you should experiment before choosing a particular software and website to start trading from. Costs and services will vary, too, between brokers so it’s important to choose carefully. Using the demo software for a while will help you develop and test your own Forex trading strategy. You should not start making live transactions until you can regularly make a profit on the demos. Many people lose money and quit only because they rush into it too quickly thinking anyone can do it. The truth is you want to learn all you can about trading first, then the time for profit will follow.